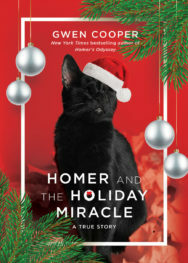 WHEN AN INVADING SWARM OF SIX-LEGGED INTRUDERS TAKES OVER A PEACEFUL JERSEY CITY BROWNSTONE, THERE’S NO ONE TO TURN TO EXCEPT TWO SCRAPPY FELINE WARRIORS IN THE BATTLE AGAINST . . . THEM! Gwen Cooper and her husband, Laurence, had no idea how bad an onslaught of clothes moths could get until they had to start throwing away cherished sweaters by the sackful. 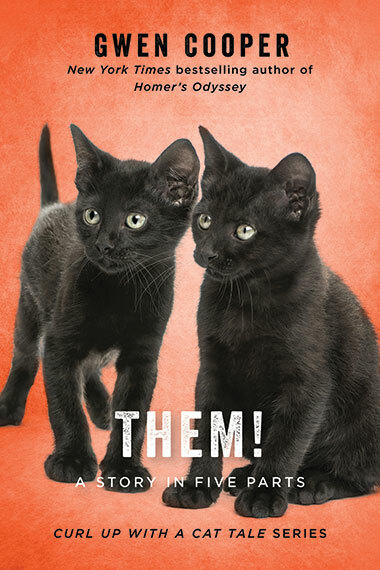 Their secret weapon against the stubborn six-legged pests are Clayton “the tripod” and his litter-mate Fanny—two strictly indoor black cats eager, at long last, to test their predatory prowess. But as casualties mount, and the moths meet the cats’ superior size and skill with their own overwhelming numbers, the question remains: Can two never-say-die furry soldiers ever win the war against THEM? 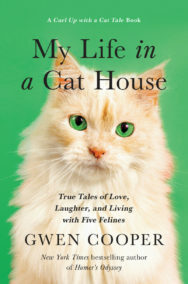 The latest entry in the continuing Curl Up with a Cat Tale series—true-life cat stories by Gwen Cooper, New York Times bestselling author of the smash-hit Homer’s Odyssey: A Fearless Feline Tale—“THEM!” is a hilarious, high-octane adventure tale you won’t want to miss!